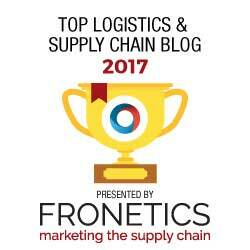 Digital Supply Chains: From Adoption to Digital Transformation | Morai Logistics Inc. Experts say that supply chains must move from adoption to digital transformation if they want to improve efficiencies, operations and take their businesses to scale. For the North American transportation supply chain and logistics industry, last year saw a widespread adoption of digital technologies. Predictive analytics proved beneficial to providing end-to-end visibility of supply chains, and ensuring efficiency with on-demand deliveries. When applied to operations, cloud-based technologies helped businesses scale, improved workflow productivity and created opportunities for competitive differentiation. Furthermore, robotic and automation armed warehouses with optimized levels of productivity and improved customer service. Although the adoption of emerging technologies created solutions for transportation supply chains, the industry still faces many significant challenges. The increase in consumer demand for immediacy and personalization, in conjunction with pressures of the nationwide labour shortage, requires more than digital adoption. To further improve operational efficiencies, reduce costs and create opportunity for bottom line profits, supply chains must move from adoption to digital transformation. Whether the customer is a shipper, retail wholesaler or vendors, the goal of digital transformation is to ultimately improve the customer experience. 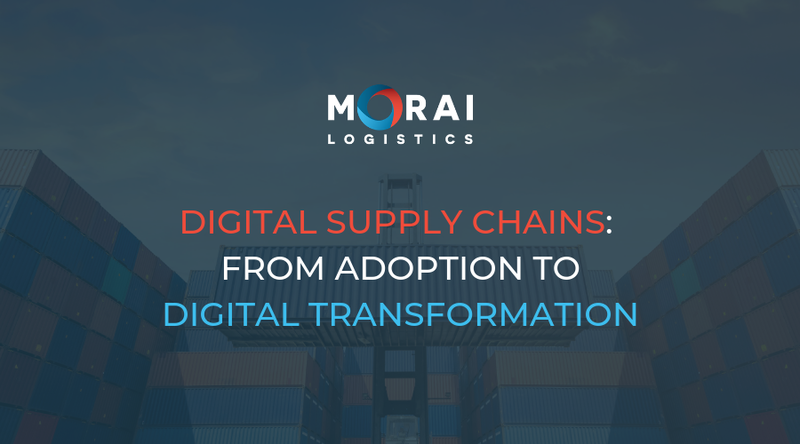 This week Morai Logistics provides an overview of what digital transformation looks like in transportation supply chains. The benefits moving from evolving from simply adopting digital technology to a comprehensive and whole-scale transformation will also be reinforced. There are many industries across the world recognizing the need to digitally transform. 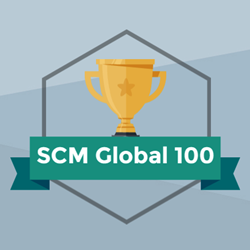 North America ranks at the top of the global market. By 2022, global statistics forecasts that spending on ‘the technologies and service that enable digital transformation’ will reach USD 1.97 trillion. However, in a study on the adoption of digital transformation within five major sectors, supply chains reported the ‘lowest level of digitization’. Let’s address mistake number one: disconnect with vision and strategy. Before a supply chain executes digital transformation, they must understand the trends shaping the need to transform. There are many reasons why digital transformation can improve the end to end profits of an organization. They may change depending on the industry. For supply chain and logistics, the following three reasons why adoption should move to transformation. Today, customer experience is at the top of the board when it comes to strategic priority. From social media to online buying, to smartphones, consumers have the power to connect anywhere at any time. This has changed the buyer’s journey significantly. Consumers expect a heightened level of transparency and personalized and engaging experiences. The current capacity crunch and nationwide driver shortage, also requires organizations to look at employee fulfillment. Integrating digital tools throughout the supply chain, will promote efficient methods of productivity and communication. This can have an incredible impact on performance and empowerment, while also giving more time to focus on ‘streamlined decision-making’. The implementation of technologies throughout all facets of a supply chain can help generate large data sets, known as Big Data. 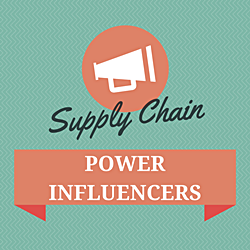 Online interactions between shipper and supplier can generate unceasing amounts of data. However, without appropriate tools to translate these numbers into valuable insight, meeting the needs of either party becomes challenging. Therefore, digital transformation ensures that innovative technology solutions are in place to provide strategic data that will ultimately achieve success.